During activities on the drill floor, a person suffered crushing injuries to the chest and abdomen while working on an access platform on the roof of the driller’s cabin. 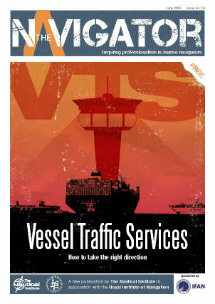 The incident occurred on 28 February 2009 on a mobile facility. The work being done was installation of a fastening device on the grating on the driller’s cabin at the same time as an LRA (lower racking arm) was used to prepare the core drill string for the next well operation. The injury occurred as the person was crushed between the railing on the access platform and the back of the LRA being operated. Towards the end of the night shift on 28 February, it was agreed that personnel would secure two gratings covering the windows on the roof of the driller’s cabin using ties. Earlier the same night these gratings had been hit by a racking arm at 05:20 hours and been pushed off the hinges (hereinafter referred to as the initiating incident). During the work of securing the gratings, the individual performing the work was crushed between a hand railing on an access platform and the back of the racking being operated/rotated at the same time. The injured person was sent to an onshore hospital with the SAR helicopter. There was no material damage of significance. Drill floor and LRA (manipulator arm). The activities comprised preparation and cleaning of the drill floor area. On the drill floor, the drill string had been pulled out and preparations were underway for a new drilling operation to obtain core samples. Earlier that year, a new method had been introduced for washing cabin windows. This method entailed preparing the windows with an agent that would facilitate cleaning of the windows with window wipers and washer fluid. The previous practice had also included water jetting the windows at regular intervals. As the new method did not function as intended, it became necessary to also clean the windows with soap and a brush (water jetting was not recommended as this could damage the preparatory agent). Prior to the preparation and cleaning of the drill floor area, the work was discussed during a toolbox meeting. Some members of the shift crew were not present during the meeting as they were on a coffee break. In order to gain access to the windows on the driller’s cabin for cleaning with a brush, the protective grating had to be lifted approx. 20 cm. A utility winch was used for this work. Other activities were also taking place on the drill floor in connection with the preparations for the next drilling operation, including the landing of a lift using the offshore crane. The plan was to use the racking arm to guide the lift to the correct position. At approximately 05:20 hours the racking arm was operated/rotated (clockwise) and the back edge of the arm came into contact with the protective grating. 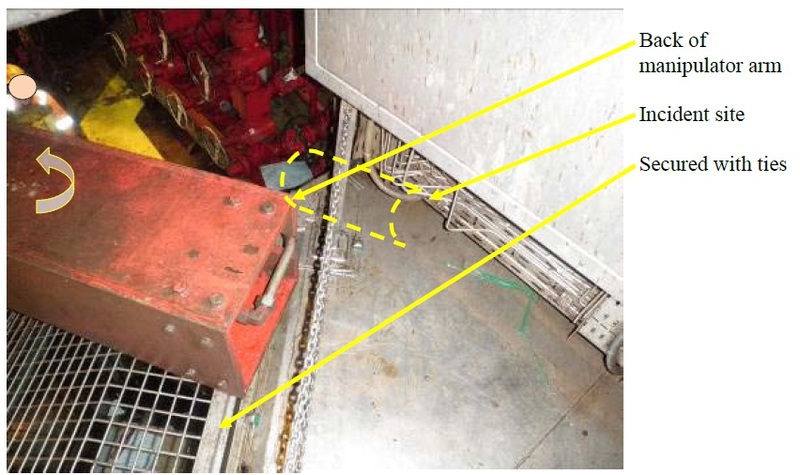 The grating was pushed off its hinges and fell down in front of the driller’s cabin and was hanging in the wire from the utility winch (initiating incident mentioned above). Drill floor, manipulator arm and access platform. Immediately following this incident, the drilling crew was called into the driller’s cabin to review this incident. This meeting is referred to as a ’time-out for safety’. An RUH form (report of unexpected incident) was completed after the meeting. The drilling crew then resumed its work, including refitting the protective grating. The grating was installed on its hinges and fitted into place. A new meeting was then called in the driller’s cabin. This meeting was a review of an SJA (safe job analysis) for the use of manual rig tongs in connection with the handling and make-up of the core drill string. This review was carried out together with the vendor. Following this meeting, the work resumed, including the work of securing the protective grating using cable ties as the original fastening device was missing. Just before 06:20 hours, the work of making up the core drill string was initiated at the same time as cable ties were being fastened on the protective grating from an access platform on the roof of the driller’s cabin. Just as the individual who fitted cable ties on the protective grating was leaning out through the railing, the supervisor gave the OK to start using the racking arm to help make up the core drill string. The racking arm was operated/rotated with a counter-clockwise motion, and the individual who was fitting cable ties was crushed between the railing and the back of the racking arm. The racking arm was stopped immediately as the operator heard an unfamiliar sound from the roof of the driller’s cabin. The incident occurred at 06:20 hours. All other work was stopped immediately, and the personnel on the drill floor ran to the injured person to provide assistance. The person was then unconscious, but regained consciousness shortly thereafter. The medic and the first-aid team were notified and arrived at the incident site. The SAR helicopter was requested at 06:30 hours. The injured person was stabilized and brought to the facility’s hospital and picked up by the SAR helicopter at 08:04 hours. The SAR helicopter landed at Sola Heliport at 08:58 hours, and the injured person was transported in an ambulance to Stavanger University Hospital. Fortunately the person survived having suffered serious injuries to internal organs and fractured collar bone and ribs. The injured person had to undergo surgery because of damage to his main artery. The Norwegian PSA investigation identified the following non-conformities. Risks associated with parallel operations were underestimated by leading and executing personnel on the facility during execution of the operations. Not everyone involved in the planning participated in the meetings in the driller’s cabin. The practice was that if someone missed the meeting he would be updated afterwards. The communication took place in both Norwegian and English as there were Norwegian and English personnel on the shift. The working language is then supposed to be English. 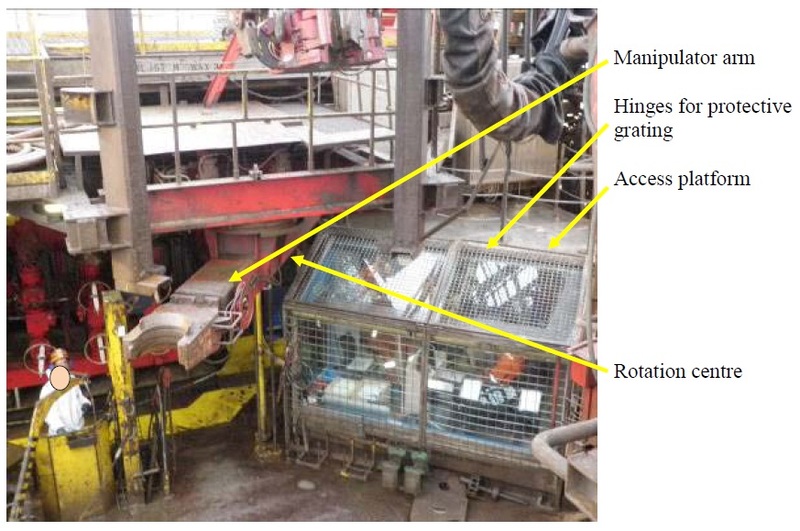 Ambiguous work management for operations on the drill floor, since simultaneous activities took place: fitting of protective grating simultaneously along with the preparations for the next drilling operation. Checklists provided by manuals for mentioned operations were either not used or not available. It was normal practice to have persons in the Red Zone while operating equipment in the area without preparing an SJA and obtaining a work permit for the activities. As the new cleaning method did not function in a satisfactory manner, the protective grating now had to be lifted to allow cleaning of the windows. This operation was not covered by a procedure or had been subjected to an SJA (safe job analysis). There was no SJA performed for the job of securing the protective grating after it had been pushed off its hinges during the initiating incident. All personnel on the drill floor were not informed of the job of securing the protective grating. The PSA observed during the inspection that the original fastening device for the protective grating was missing, and that the need for this fastening device was identified only after the protective grating had been pushed off its hinges. There was a relatively significant amount of radio communication (Channel 9) and that this may have made it challenging to catch necessary information. The LRA was operated without being adequately communicated (use of confirmatory communication via the radio). The LRA was not to be operated during the work of securing the protective grating. There is a separate isolating switch in the driller’s cabin. 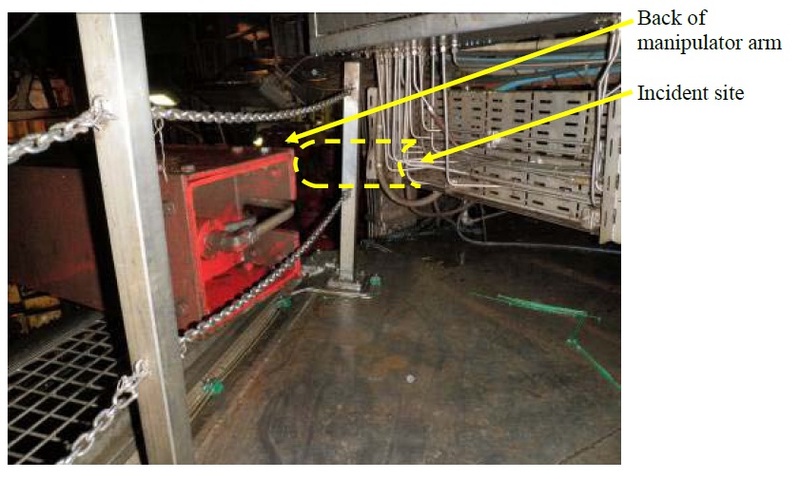 Following the initiating incident where the protective grating was pushed off the hinges, there was a ”timeout for safety” meeting where the causes of the incident were identified. There were little evidence duting the investigation to indicate that the causes of the incident were understood and that measures were sufficiently communicated. The plan that shows the zones on the drill floor (red/green zones) does not clearly define which zone code is applicable for the roof of the driller’s cabin. The access platform, the roof and the driller’s cabin are not colour coded on the zone plan. No procedure could be presented that describes the isolation and deactivation of the LRA. Isolation is only defined if there is a need to work on the hydraulic arm and hoses. The railing on the roof of the driller’s cabin provides insufficient protection against the LRA. There was no updated procedure for cleaning the windows of the driller’s cabin. The PSA has been presented with a procedure for cleaning operator cabins in the derrick, but this does not reflect the new cleaning method.